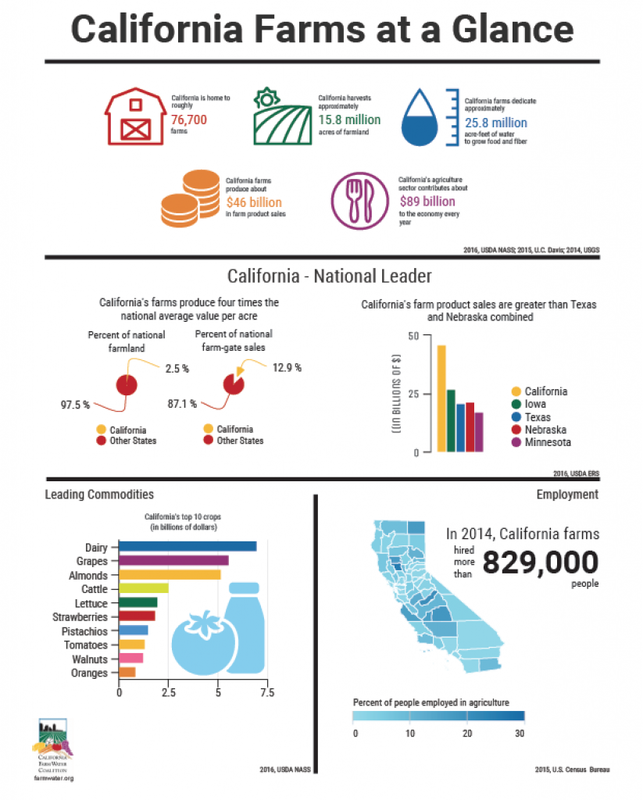 Learn more about California’s farms and their contribution to the economy with this fast fact sheet: California Farms at a Glance. California farms are leaders in the nation- producing high-quality, affordable, and abundant farm products efficiently. Our farms form the backbone of many rural economies, supporting businesses, jobs, and their communities.